Financial Clearing is the service that ensures transparency and security in all voice, messaging and data transactions. At every stage of the clearing process, clarity is provided to the Mobile Operators. 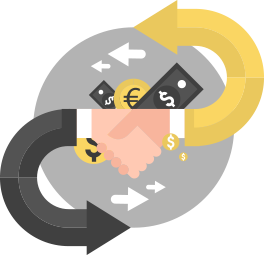 Our Financial Clearing process includes invoice controls with approved or rejected capabilities, credit notes check, payments’ control and dispute handling in multiple currencies optimizing financial settlements of Mobile Operators. The service operates individually or at a group level, in order to provide faster and more reliable results, using a shared database for data and financial clearing. • Total control of financial clearing and settlement process between Mobile Operators, in groups or individually. • Minimise the workload of the financial department. • Maximise the efficiency of billing and financial transactions. • Easy management of invoices, credit notes, payments and dispute issues.